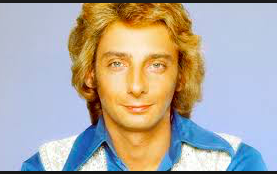 Barry Manilow is brilliant at penning songs and jingles that penetrate our “automatic” brain. His legacy includes hits like Mandy, Copacabana, I Write the Songs as well as jingles such as “like a good neighbor State Farm is there”, “I am stuck on Band-Aid, ‘cause Band-Aid’s stuck on me,” and “you deserve a break today.” I know these words by heart because they are stuck in my consciousness like, well, a Band-Aid. I can’t possibly look in my historical rear view mirror at my youth and remember when I first heard one of those jingles. They are just on a ubiquitous loop. I don’t know WHY I call a facial tissue a Kleenex, a cotton swab a Q-tip, or a photo copy a Xerox. I just do. I resign myself to the knowledge that my early messages (a form of mental programming by those Madison Avenue Mad Men/Women) has created advertising memes in my product associations through consistent repetition. What does this have to do with diversity and inclusion? Does any of this sound familiar? Blue is a boys’ color. Pink is a girls’ color. Black people are crime prone. Asians are shifty. Homosexuals are pedophiles. Catholics are idol worshippers. Women are bad drivers. Men are unemotional. Welcome to a taste of MY diversity programming as a child in Central Pennsylvania. While Madison Avenue got paid for those marketing jingles, slogans and product repetition, I received my initial diversity programming for FREE, thanks to my father, brother, neighborhood friends and media representations of people. And, get this, those repetitively stated stereotypes (by others) and heard (by me — and you) live in the same part of the brain. It’s futile to think that I can block an association in my mind when I meet someone from one of those groups I mentioned, or to have a fast (often negative association) about someone who is different from me when I’m making decisions about who to hire, give that great assignment to, or during and after their interview. Remember the impossibility of trying to not think “Nike”? It’s the same Stimulus-Reaction dynamic with deeply engrained messages about race, gender, age, orientation, disability, accent, religion … you get the point. Does this mean that we are doomed to a lifetime of pre-programmed fast associations about those topics? NO. You have an incredible, “deliberate” brain. Unlike other species, we can push the brakes on the “automatic” (or programmed) brain. We can tell ourselves when we’re making decisions about our teammates to “slow down” and pause to check into what’s happening in our automatic brain. *does this person remind me of someone (in a good or bad way) from my past? *if this person performed exactly as they have and that behavior was exhibited by favorite teammate or direct report, would I view their performance the same or different? *what else might be true about the conclusion I’m drawing about this person’s intentions, value to the project and outcomes I’ve seen that could challenge my judgements about them? *what do other people who I value, who are different than me, think about this person and the behaviors I’m assessing in this current decision? We have the ability to “go to the gym” of exercising the emotional intelligence (EQ) skill of slowing down and pondering the influencers that might be shading our decision-making process with invisible biases. Our goal is to be truly inclusive … and that Nike/Fast Brain/Automatic Pilot/Tinted Lens of Bias is ALWAYS trying to make us go faster, without pausing and letting the Deliberate Brain do some verification of our assumptions. What we know for sure is, like going to the gym the first few times, the first few passes at slowing down and engaging the deliberate part of our mind feels cumbersome and even unnatural and uncomfortable.But it’s important to develop the Inclusion muscle of slowing down (you can call it mindfulness, if you like that term). 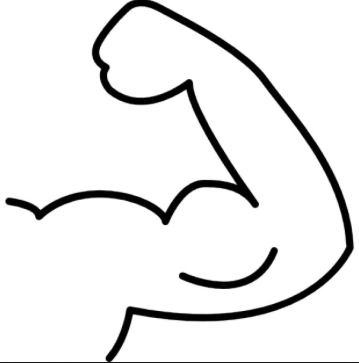 Those who can strengthen that muscle can develop truly inclusive leadership. 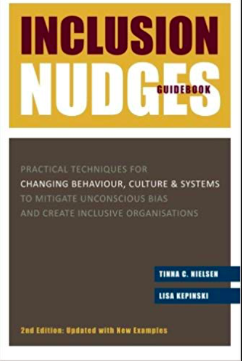 For more ideas on how to “nudge” the brain toward greater inclusion, you might check out the book Inclusion Nudgesby Lisa Kepinski and Tinna C. Nielsen. Great article and perspective, and more than a bit humbling in retrospect.